If players of Asia or America get to the finals, these could be played on the 3rd or 4th of March. 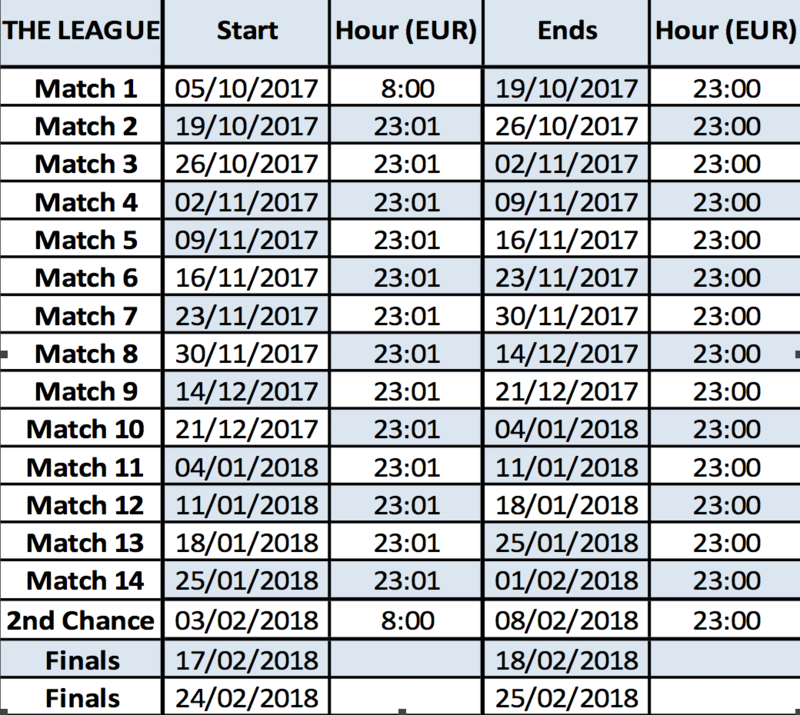 Minimum of 5 games and maximum of 20 games, plus 5 kers free games, plus the kers games accumulated in previous matches. Average of your 3 best games will be used each match. Teams of minimum 4 up to 7 players.